I can officially say that this is my first post of 2016. I can also say "I can't believe it's 2016 already, wow!". This year there seemed to be so many beauty releases and I tried to keep up with most of them but of course I couldn't. I mean, I didn't want to have an empty wallet. But I realized that I've been loving so many things, I looked over all my favorites and tried to think about what I really really loved. I decided to not even look back at old posts anymore because my favorites were the products that were actually on my desk. 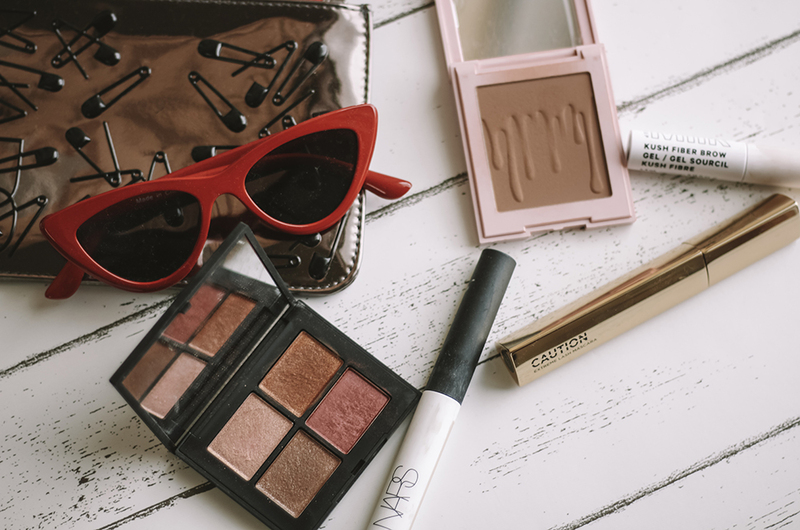 Most of the time I leave the makeup I'm using on my vanity and then the next day I'll use the same products, then it continues like a cycle. 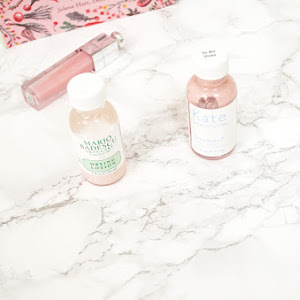 I do try and switch up the products every now and then but I found that these products were the ones that I really have been loving. If you were to take one of them away from me for a day I don't think I could go without it. Eyes - Ever since I got the Urban Decay Naked 2 Palette I've been obsessed (I feel like I use that word too often, but I can't help it). I'm constantly reaching for this palette and I try not to but it's so pretty. I used to hate wearing shimmery shadows but I finally tried branching out by not only wearing matte shadows. I went through so many different mascaras this year, I hate buying so many mascaras because those are the ones that have to be thrown out the quickest. 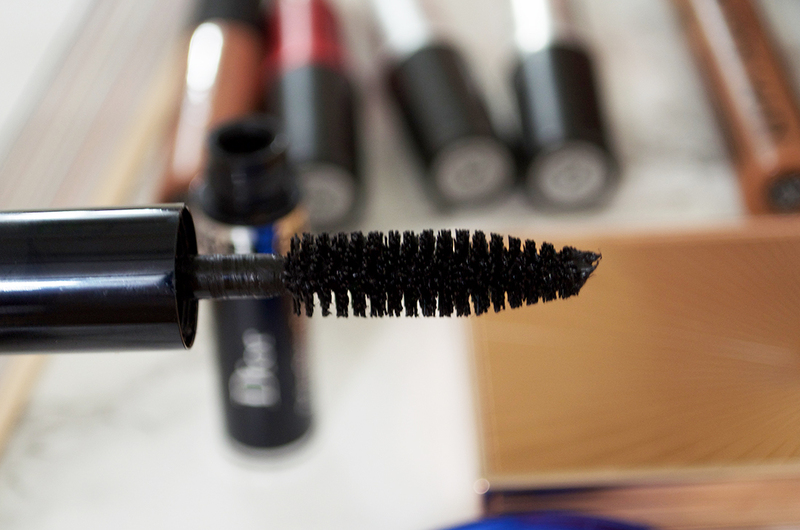 But the Dior Diorshow Mascara is amazing. I like wearing this whenever it's a special occasion, don't know why I don't wear it all the time. But it makes my lashes look so long and voluminous. The only thing I dislike about it is the fragrance. Why does mascara even need fragrance? It smells really strong and gives me a headache, but once I put it on my lashes I don't smell it unless I still have the wand out. 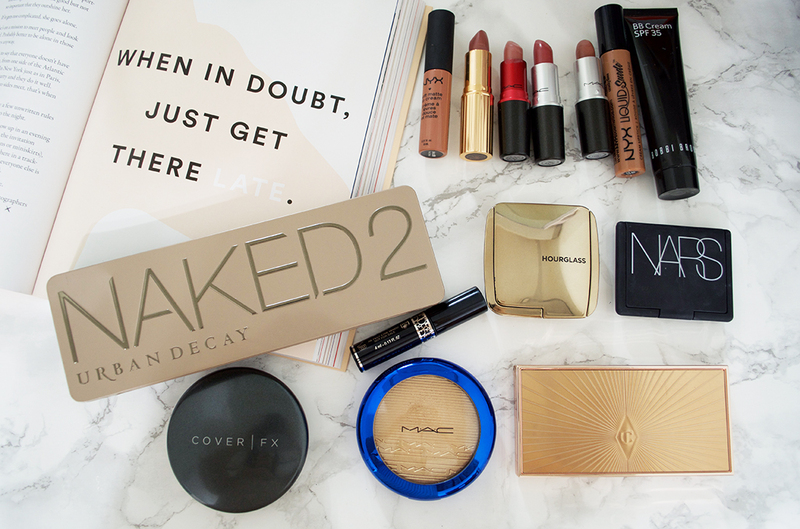 Face - 2015 has definitely been all about the face products for me. I found myself branching out more because I used to not wear highlighters and when it came to blushes I always picked the ones that weren't very vibrant. 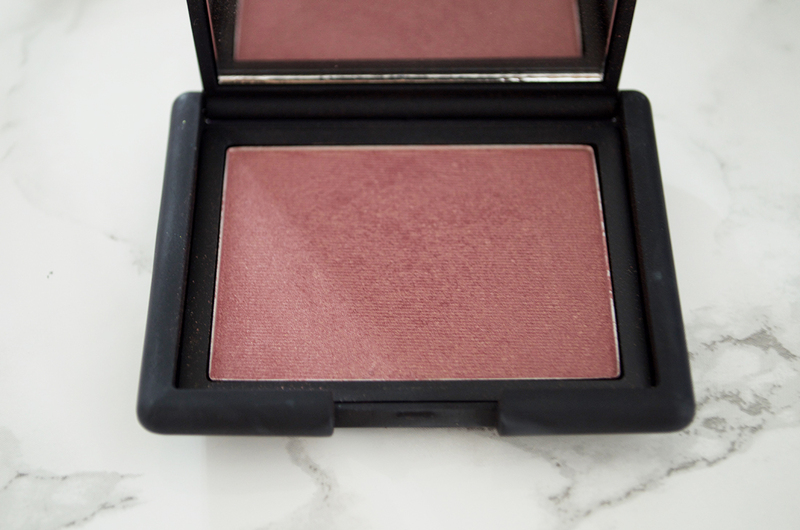 I shocked myself this year by buying the NARS Blush in Sin, it was definitely not something I would usually wear but once I bought it I knew I was loving it (blog post here). Another blush I've been loving was something more in my comfort zone, although it looks kind of dark in the pan it's actually really great for an everyday wear. 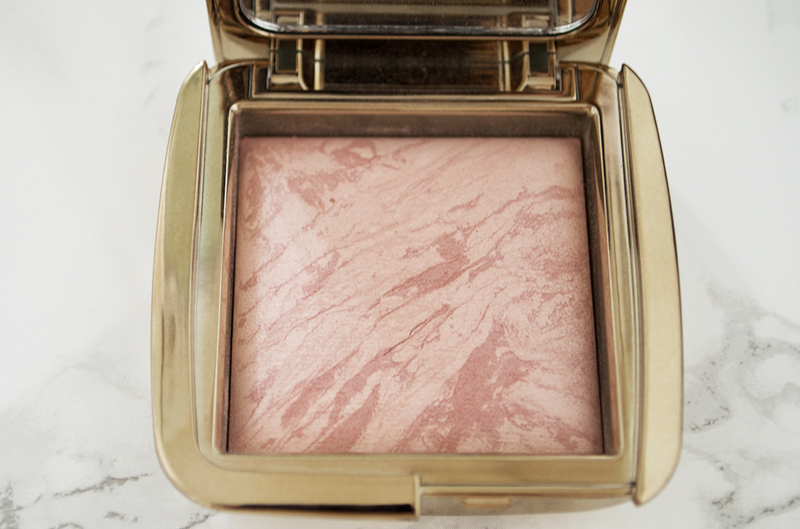 The Hourglass Ambient Lighting Blush in Mood Exposure has been something I've been reaching for almost every single day. If I wasn't using the NARS blush then it was this blush. I've tried to contour more this year and I thought that the Charlotte Tilbury Filmstar Bronze & Glow helped me with just that. 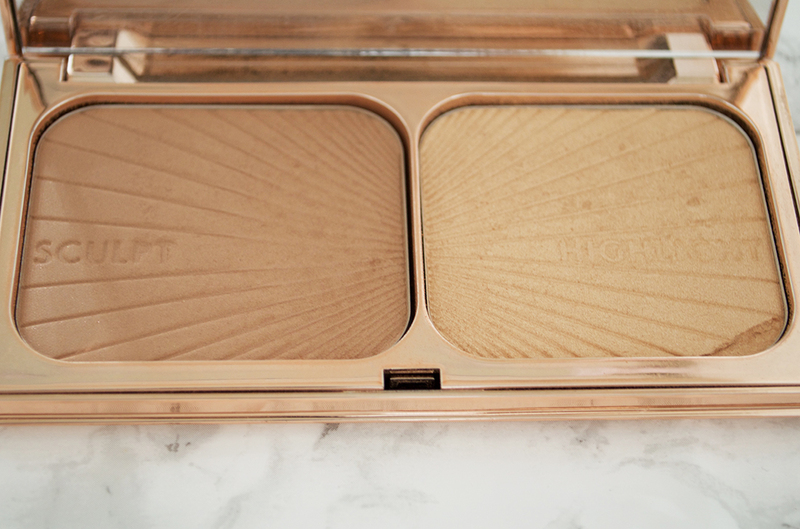 Not only was the bronzer shade gorgeous but the highlighting shade was even prettier. When I first got this I used it almost every single day (blog post here) and I still use it all the time now. 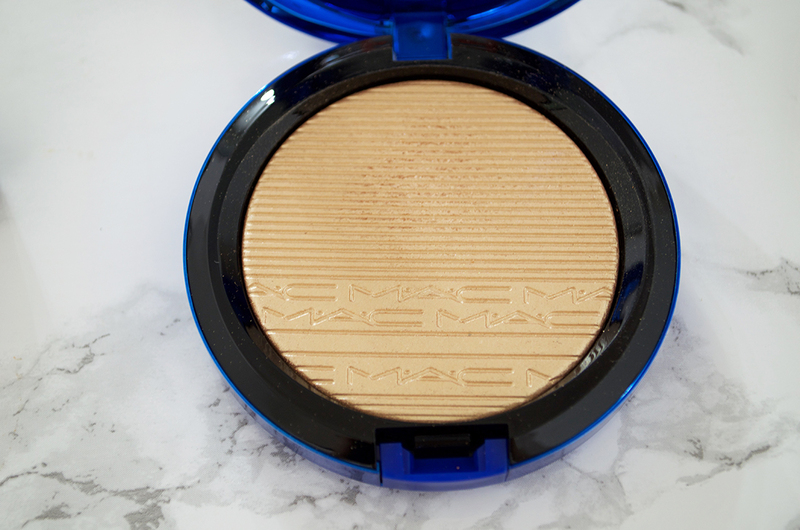 Another highlighting shade that I loved was the MAC Extra Dimension Skinfinish in "Oh, Darling". I hope they make this a permanent item because it is amazing. 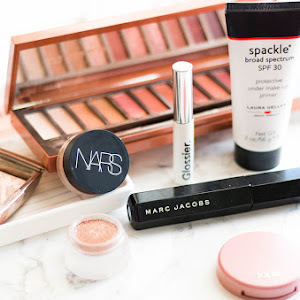 This gives me such an amazing glow and every time I wear this my friends will ask me which highlighter I'm using (blog post here). It's that great that I don't know how else to explain it. My foundation routine didn't change much in 2015 except for the fact that I tried using powder foundation and I'm in love! 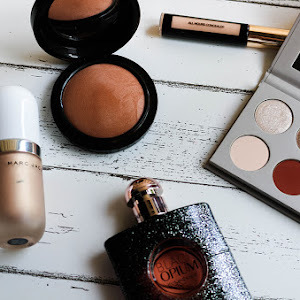 The CoverFX Pressed Mineral Foundation works really well with my skin and it doesn't make me look cakey or break out (blog post here). I like that the coverage is also buildable because some days I really don't like having much on my face while other days I need more coverage. In the summer I was using the Bobbi Brown BB Cream SPF 35 all the time. Sunscreen usually breaks me out but this BB cream didn't, I still wear it sometimes in the winter and I know it's good to wear SPF daily. Since this product doesn't break me out I might have to keep repurchasing this. 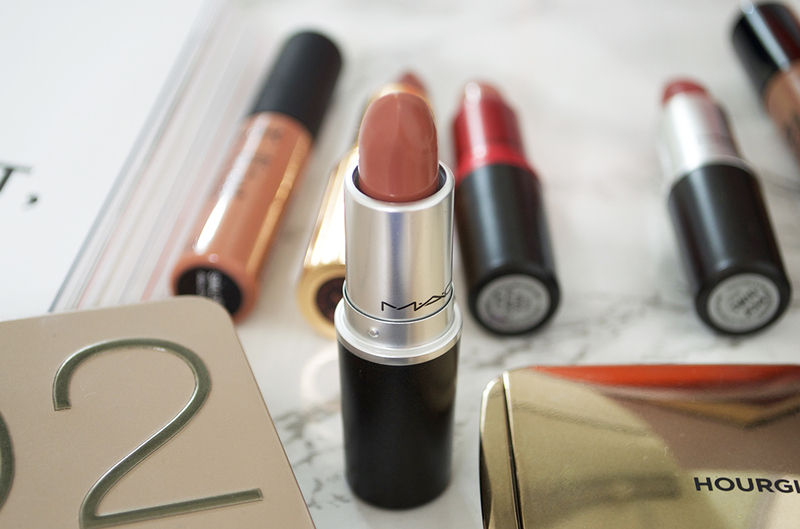 Lips: I love buying new lip products but I always tend to stick to the same color range. Although I love my lipsticks, in 2015 I found myself reaching for liquid lipsticks more because they last so much longer on my lips. NYX has a great liquid lipstick range so my favorites included the NYX Soft Matte Lip Cream in Abu Dhabi and NYX Liquid Suede Cream Lipstick in Sandstorm. They are not drying on my lips and last me all day, there have been times where I've applied this on at 8 in the morning and it lasted me past 12 am. 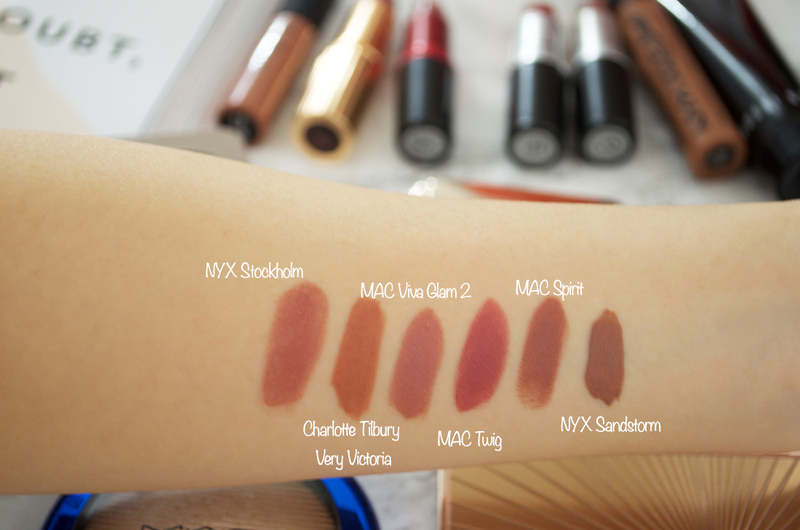 I've been a fan of MAC lipsticks for the longest time and it's because they're pigmented and the colors are gorgeous as well. 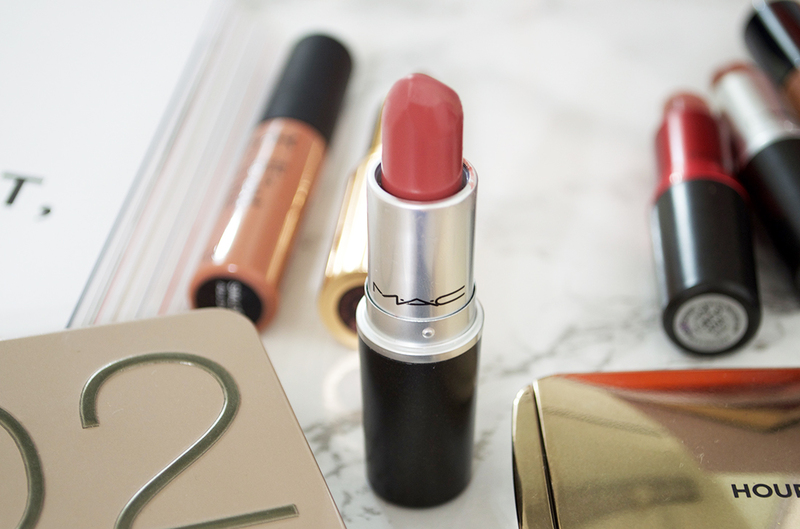 MAC's Lipstick in Spirit had become a newer discovery but it works really well with my makeup, it goes great with any look. I've also been loving the shade Twig, I would say that it's a rose colored lipstick and just like the other MAC shade, it goes well with any look. 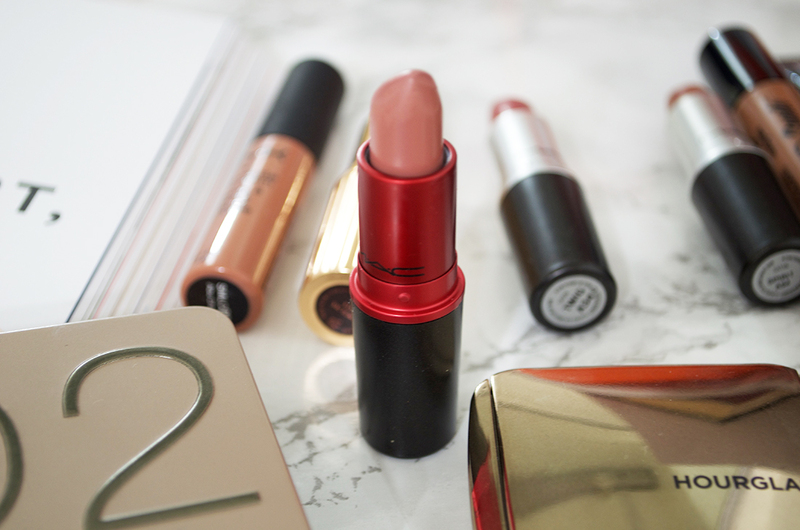 The last MAC lipstick I've been loving is the Viva Glam 2 lipstick, this shade is beautiful! I don't know how to describe it but it's been a go to lipstick for me. I feel like I want to buy more of this shade even though I still haven't run out of mine yet. 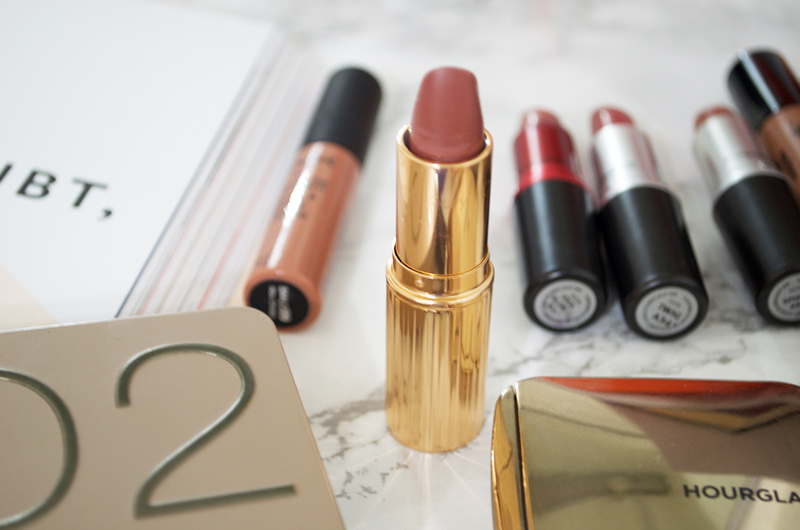 Charlotte Tilbury's products have really impressed me this year and I heard a lot about her lipsticks but I didn't realize how good it was until I actually bought one for myself. The Matte Revolution Modern-Matte Luminous Lipstick in Very Victoria has now been tied with all the MAC lipsticks I mentioned. It isn't drying at all and it's also matte, I mean how is that possible. A lot of matte lipsticks can be really drying and hard to apply but this one wasn't at all. 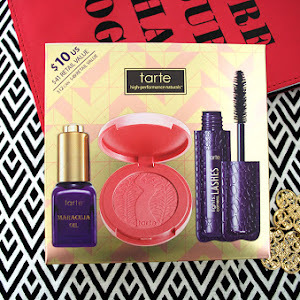 What were your favorite beauty products in 2015?